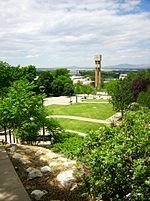 Weber State University was founded in 1889 by The Church of Jesus Christ of Latter-Day Saints as a public university in Ogden, Utah. The school offers technical, liberal arts, and professional certificates in addition to associate, bachelor&apos;s and master&apos;s degrees. Unstructured interdisciplinary degrees are overseen by the Bachelor of Integrated Studies department. Regional Universities in the West. These resources include federal funding, grants, loans, work-study and scholarships. All applicants must complete the Free Application for Federal Student Aid. throughout Utah, Nevada, and Idaho. The Wildcats play in the NCAA Division I FCS; they are also members of the Big Sky Conference. The team colors are purple and white – with numbers in black – and their mascot is Waldo the Wildcat. Men’s teams are basketball, cross country, football, golf, tennis, and track and field. Women’s teams are basketball, cross country, soccer, softball, golf, tennis, track and field, and volleyball. Like many other universities, Weber State&apos;s student housing is available through a number of residence halls of varying boarding rates. All of the residence halls offer basic amenities, including wireless internet. Parking is available at all facilities; parking passes are required. Beds are twin extra-long and cooking facilities are available at all units. Married and family student housing is no longer available. University Village (five-building complex with private and semi-private accommodations). Wildcat Village (suite-style living with two bedrooms per unit). See the degree programs that are offered at Weber State University. See the distance education degree programs that are offered at Weber State University. See what it costs to enroll at Weber State University and how many students are receiving scholarships, grants, or loans as financial aid to help cover the costs of tuition. 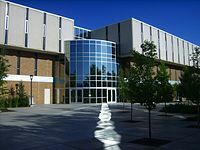 See the admission requirements for Weber State University. Find out how many students apply and how many are accepted. View a graphical breakdown of the gender, age, and ethnicity of currently enrolled Weber State University students.